Have a heart! Go ahead and print this shapes and their names worksheet. 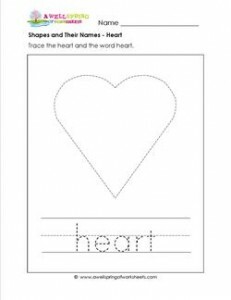 Your kids can trace the heart, the word heart, and then they can color it in. Sounds like fun to me!